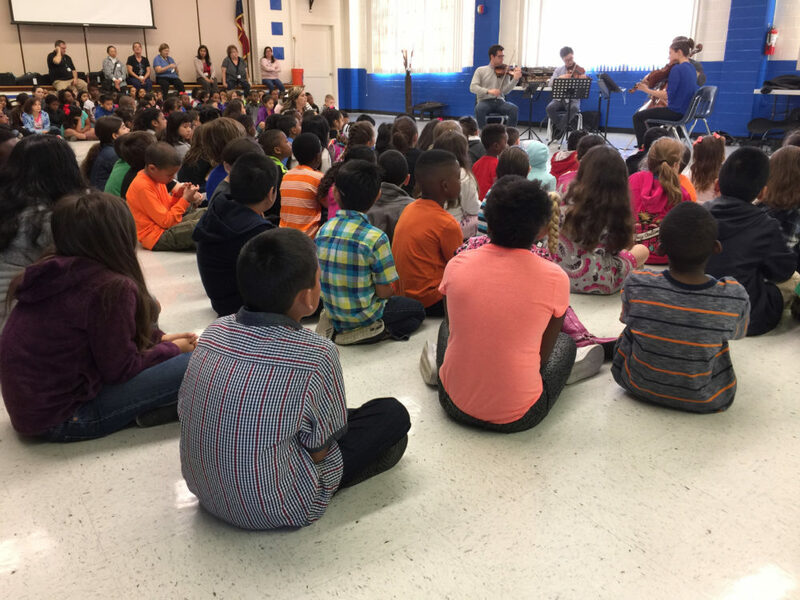 Early on Monday morning, April 4, the Dover String Quartet headed out to Serna Elementary to play for Pre-K through 4th graders. They were invited by SACMS board member, Joe Lamm, who volunteers to listen to children read at the school. Hundreds of small children came into the auditorium and sat on the floor waiting eagerly, but quietly for their own private concert. 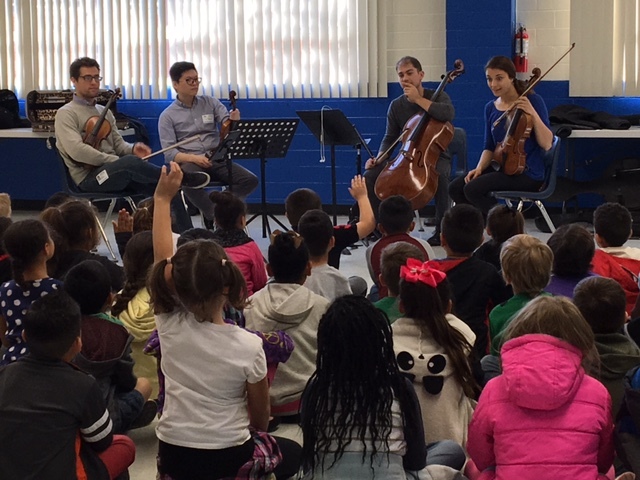 The quartet members interacted beautifully with the children fielding numerous questions. The musicians also asked the children questions of their own which helped the students to focus and put on their thinking caps. The quartet played 2 movements from the Dvořák American Quartet, which they also played in their formal concert on Sunday. They concluded with a lively movement from one of the Beethoven String Quartets. Each movement was met with enthusiastic applause from the audience. We are always grateful to our visiting artists for their generosity in sharing their talents throughout our community. 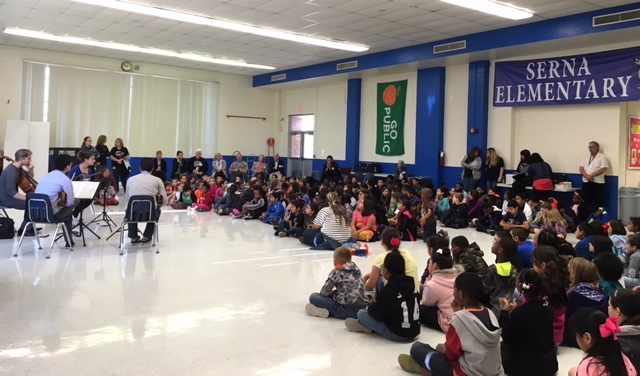 If you would like to make a contribution to the Ed Mandel Trust Fund which perpetuates our Outreach Events, please visit our website for more information.